This camera is the world's smallest camera, using 1/18” CMOS chip. The camera outside diameter is only 3.9mm, able to configure wide-angle lenses and telephoto lenses to observe objects at close range. The camera is suitable for industrial video endoscope, pipe probe endoscope, vehicle detection endoscope, cylinder testing, video fishing camera, underwater camera, ENT endoscope, intraoral endoscope, medical endoscope, throat endoscope, etc. 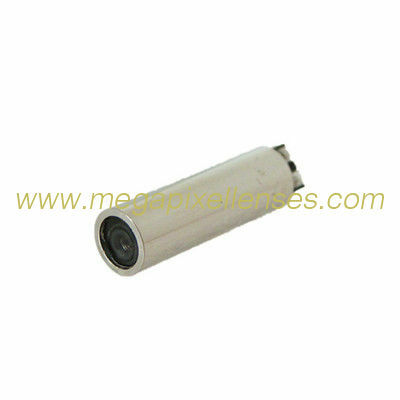 The main advantages of this product are: small size, low power consumption, clear imaging.